generic viagra Happy Holidays to you from all of us! go to site Four years ago everything changed for us. 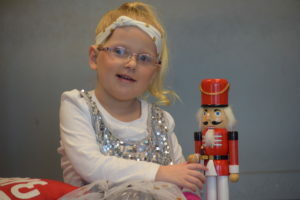 Four years ago today, Emma was diagnosed with a brain tumor. It seems hard to believe that day was four years ago now. Parts of that day seem like just yesterday and other parts seem so long ago. I do know this though, we are thankful for every single day of the last four years that we have had with our sweet girl. viagra symptoms drug The pain and heartache of that time still seem so fresh in our minds. 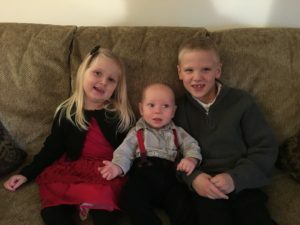 I can still remember the room we were in, I remember holding Emma when Dr. Sindelar called, and I remember feeling my heartbreak as we were told she had a brain tumor. It felt like our world was falling apart around us. As lost as we felt in that time, it was the prayers, support, and love that friends, family and strangers surrounded us with that got us through those days. We will never be able to put into words how thankful we are for all of the support and prayers that have been given to Emma and our family. go Emma’s picture from her dance recital in December. She absolutely loved it! http://jasonkaune.com/?search=free-viagra-for-women While there have been many trials and difficult times the last four years, we also know how much we have to be thankful for. This journey has changed us and helped us to grow in ways we never expected. We have learned so much about faith and hope, because of the gift of support people around us have given us. This journey has helped us to be thankful for today and live every minute to the fullest. We look at Emma everyday and are amazed by her strength and perseverance. She has taught us so much about life and love, and we are thankful everyday for her strong spirit and loving personality. http://oldafricamagazine.com/?search=order-viagra-tablets-us Emma is doing well and we have had a great Christmas break together as a family. 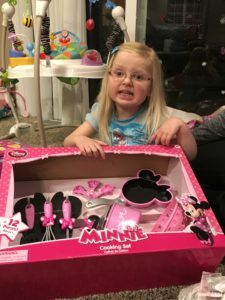 She was so excited to open her presents, and loved spending time with grandparents, aunts, uncles and cousins. She loves preschool and is so excited to go back and see her friends this week. Emma had a big day at therapy last week. She took over 20 steps unassisted in the pool. While this may seem small, this is a huge accomplishment for her. We are so proud of how hard she has been working in therapy and on all the progress she is making. lantus drug contraindications with viagra More Minnie dishes for Christmas. viagra farmacia online usa pharmacy 2016 has been a very good year for our family. We were able to celebrate the end of treatment in May for Emma and stable scans for a year and a half now. There was a time we weren’t sure we would ever get to this point, but are so thankful for this time of stability for Emma. We were also so blessed to welcome Easton to our family. He has helped us to take steps forward in life and he brings so much joy and happiness to our family. We are incredibly thankful for the blessings of 2016! We hope you know that we count those of you who continue to follow Emma’s story and provide prayers and support for us as one of our many, many blessings. Thank you to each and every one of you for all of your prayers and support. We wish all of you a wonderful and blessed 2017! 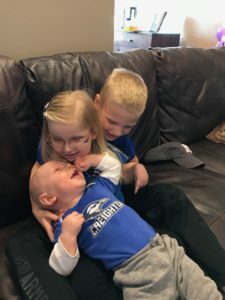 http://thefoolishobsession.com/category/brand/vani-t/ Our little Blue Jay fans!